From 11 to 25 April, Lama Jampa visited Los Angeles and bestowed an extensive series of teachings and initiations at a number of dharma centres. On 13 April, Lama Jampa bestowed the initiation of Sanjay Menla at Kagyu Do-Ngak Choling, a dharma centre set up under the auspices of Kalu Rinpoche, the famed Kagyu master from whom Lama Jampa received a number of teachings in the 1970s. On the weekend of 16 to 17 April, at Sakya Samten Ling, Lama Jampa taught Gorampa Sonam Sengge’s commentary on the Zhenpa Zhidral and bestowed the initiations of Green Tara and the Lion Faced Dakini, Simhamukha. Lama Jampa concluded his teaching programme by bestowing the initiation of Red Tara at the behest of Yeshe Nyingpo, a dharma group set up under the auspices of H.H. Dudjom Rinpoche and currently under the guidance of His son, Shenpen Dawa Rinpoche. It was wonderful see a great mix of people attending Lama Jampa’s teachings, including dharma practitioners from the United States as well as members of our Mexican and European sanghas. During the visit, Lama Jampa attended a special Chenrezik Mahamudra puja at our Centre in Santa Monica, Sakya Samten Ling. 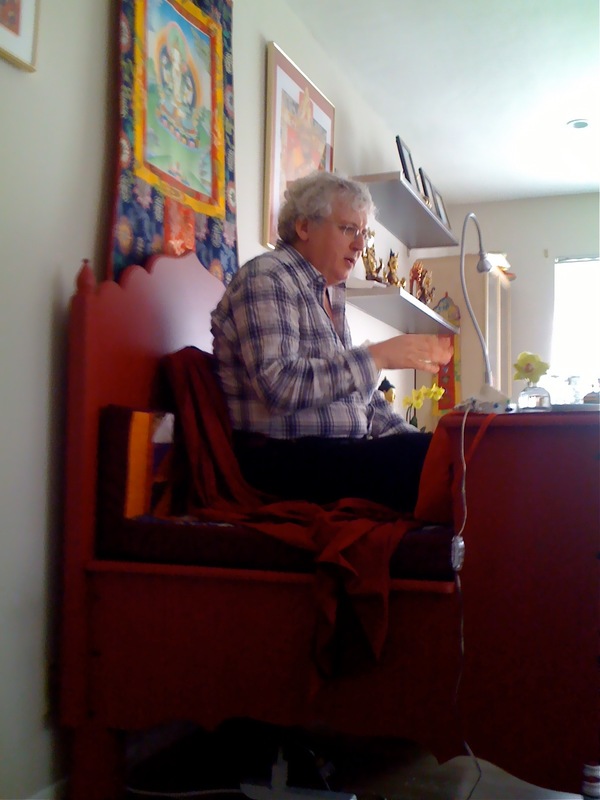 After the puja, Lama Jampa rejoiced in the good fortune of those present and stressed the importance of supporting the growth of the authoritative teachings of the Buddhas in the United States.